I've had this on on my to-do list for quite a while and finally decided to bite the bullet. 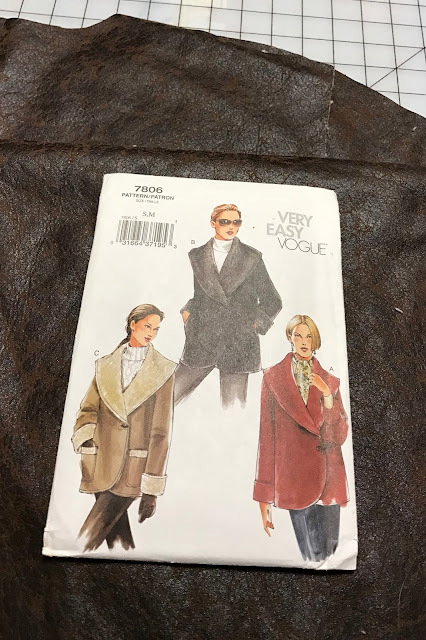 The fabric is a faux leather and shearling from Fabric Mart and the pattern is OOP Vogue 7806. 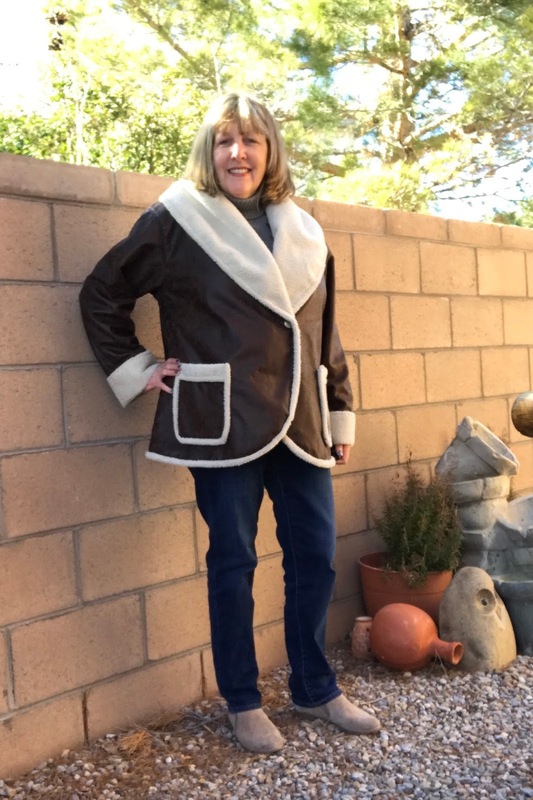 View C of this pattern is designed for faux shearling, but I ended up making several changes from the pattern instructions to give the jacket a more finished look. The pattern calls for a lot of raw edges, which look just that--raw and unfinished. 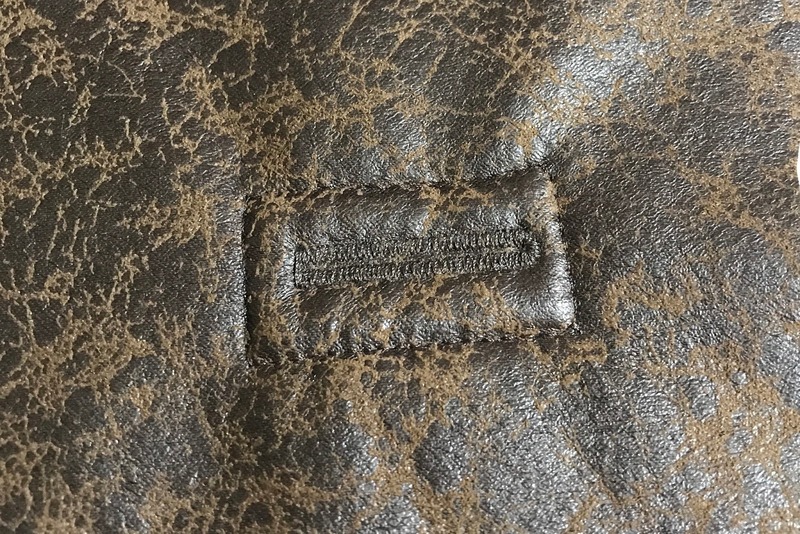 I made shearling binding from extra fabric, which I sewed to the edges, wrapped around to the back side, then stitched in the ditch to fasten the binding on the reverse. Once sewn in place, I trimmed off the excess fabric on the back. Where going around curves, I had to slash the binding since it didn't have any "give" and later hand stitched the raw edges together. This is the finish that you can see around the pockets and around the perimeter of the jacket. There is also a machine sewn buttonhole on the jacket, thanks to my Bernina 710. It was able to go through 2 layers of the faux shearling with no worries. 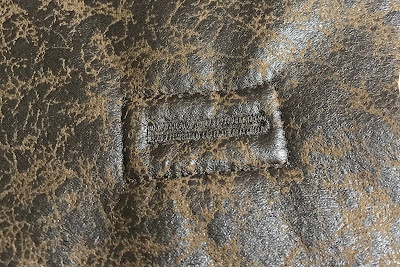 Here's a detail of the buttonhole, which also provides a nice look at the texture of the faux leather side. Those old sewing books do come in handy and this one is a keeper! Long time lurker, but that jacket is just Fantastic! What a lot of work, but well worth it. Hope you enjoy it for a long time. What a fabulous jacket! Great work!!! That is a very sharp look, Nancy. Love that coat. What a wonderful jacket! 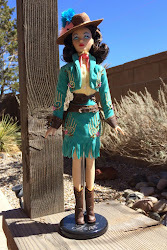 I thought it looked familiar - I made that jacket too, though mine is wool with faux fur for lining. Unfortunately, the wool has worn out, but the fur is in perfect condition. This will probably next year's project. And yes - that Vogue sewing book is absolutely indispensable. Thanks for your lovely comments, everybody!